The Appear LED backlit illuminated mirror is stylish and versatile, the tapered body profile gives it a slimline look and gives the impression of it floating. 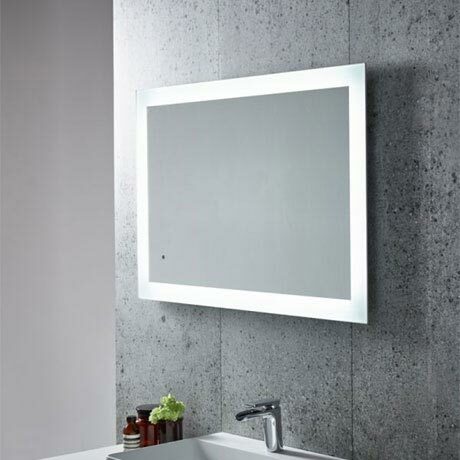 The mirror can be hung landscape or portrait to suit bathroom configurations whilst the heated demister pad ensures foggy mirrors are a thing of the past. The energy efficient LED lighting is simply turned on and off via the IR sensor which is located in the right corner. All Tavistock LED mirrors are IP44 rated and are compliant with electrical equipment safety regulations.